The Eastern Junior Elite Prospects League is proud to name all of its member Conferences and playoff brackets after historical figures in the hockey world that have had and continue to have a positive impact on the great game of hockey at all of its major levels. These inspirational figures come from the former Eastern Junior Hockey League, USA Hockey, former NHL standouts, and current NHL stars. Naming our conferences and playoff brackets after these individuals is a great way to recognize the history of the game and pay tribute to those who have helped pave the way for our current youth hockey players as well as the players of the future. Phil Coleman – Phil Coleman was one of the founding fathers of the old Eastern Junior Hockey League. This league was established in 1993 and was a USA Hockey sanctioned Tier III Junior A ice hockey league. Phil owned the old Boston Harbor Wolves based out of Charleston, Massachusetts. He was always vocal at league meetings and demonstrated great leadership both for his own organization and for the EJHL. His commitment to the league and to the expansion of youth hockey go unquestioned. 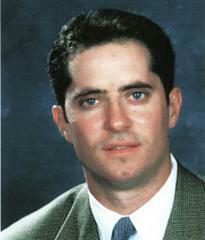 Gary Dineen – Gary Dineen is best known as a developer of hockey talent in the Springfield area. In 1972 he helped form the Springfield Olympics of the New England Junior Hockey League where he coached them to several Wallace Cups as league champions. Dineen also played a huge role in the NE Coyotes and then NE Falcons organizations while becoming the Dean of owners in the old EJHL. He has guided over 300 youth athletes on to the college ranks; 35 of them including Bill Guerin and Scott LaChance have been drafted into the NHL. The winning team in the old EJHL was awarded the “Gary Dineen Cup” named in his honor for his tremendous efforts toward the development of youth hockey athletes. 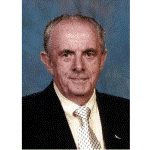 Jim Prior – Jim is a Korean War veteran who would later take on the day to day duties of running the old EJHL. As secretary, he played a huge role in the everyday operations of the league. He is also known as the voice of Boston University Hockey having served as their public address announcer for 30 years. He was honored for this achievement by being inducted into the Massachusetts Hockey Hall of Fame and was also presented with the Hockey East Founders Medal in 2013. Without is hard work ethic and dedication, the EJHL would have not been as successful. Dan Esdale – Dan was the founder of the EJHL in 1993. This Junior A league had fourteen teams from across the Northeastern United States. The winner of this league would then compete against the winners of other Tier III leagues who then would compete amongst each other for the National Championship. The New Jersey Hitmen were the final EJHL champions in the 2012-13 season. The EJHL would eventually disband and later become the Eastern Hockey League. Dan worked alongside Jim Prior and together, these two ran a successful league for many years. Dan eventually left the EJHL before it dissolved in 2008-09 to become the USA Hockey VP of Juniors. He always fought hard to make decisions that would be fair to everyone, but most importantly, he made decisions that would be in the best interest of the league and its players. Paul Gilmartin, SR. – In 1984, Paul founded Valley Associates and would go on to build a number of hockey rinks in Massachusetts, including the Haverhill Forum. He scheduled games, formed leagues, and filled those rinks with thousands of boys and girls who had the opportunity to enjoy hockey, improve their skills, meet new friends, and learn the values of teamwork and fair play. Paul was also the founder of the Valley Jr. Warriors in the old EJHL who had a number of players move on to careers in college hockey, the NHL, and even compete in the Olympics. Paul’s involvement with the EJHL was invaluable to all the league administrators, players, and coaches involved. Mark Bavis and Garnett “Ace” Bailey – Mark Bavis was a very successful left winger in the American Hockey League. He began his hockey career at Boston University. From 1989-1993, Mark scored 34 goals and 51 assists for 85 points and twice received the Bennet McInnis Award for Team Spirit, sharing the honor with his twin brother and Boston University teammate Mike. Together, Mark and Mike competed in the 1991 NCAA Championship game, won three Beanpot titles, and one Hockey East Championship. After Mark graduated, he played for the Providence Bruins and South Carolina Stingrays in the AHL. He then went on to become a scout for the Los Angeles Kings. But on September 11, 2001 Mark lost his life aboard United Airlines Flight 175 which struck the South Tower of the World Trade Center. The Mark Bavis Leadership foundation was then established because of his devotion to young men and women who are willing to work hard in their pursuit of success. The foundation was established to preserve Mark’s name and to allow deserving young men and women to enjoy similar opportunities and experiences in education and extracurricular activities that Mark was able to have. Garnet “Ace” Bailey lost his life aboard the same flight. He played junior hockey with the Edmonton Oil Kings and won the Memorial Cup in 1966. He joined the Boston Bruins in 1968 and was a member of their Cup winning teams in 1970 and 1972. He would go on to have a successful 12 seasons in the NHL and would later become a scout for the Oilers and Kings organizations. Wayne Gretzky considered him to be a great friend and mentor during his time in Edmonton. After his death, Bailey’s family founded the Ace Baily Children’s Foundation which raises funds to benefit hospitalized children, infants, and their families. “Badger” Bob Johnson – Bob Johnson was an American college, international, and professional ice hockey coach. He coached the Wisconsin Badgers men’s ice hockey team from 1966-1982 where he led them to 7 appearances at the NCAA Hockey Championships, winning three titles. Bob also coached the United States men’s national ice hockey team at the 1976 Winter Olympics. He then went on to coach the Calgary Flames for five seasons making the playoffs each time and a Stanley Cup Finals appearance in 1986. The peak of his professional coaching career came during his season with the Pittsburgh Penguins in 1991 where Bob, along with “Super” Mario Lemieux led the Penguins to their first Stanley Cup in franchise history. Similar to Jim Prior, Johnson is a Korean War veteran having served as a medic. Bob’s coaching expertise wasn’t just limited to the professional level though. He also served as an executive director for USA hockey and coached high school hockey for Roosevelt High School in Minneapolis. He was inducted into the Wisconsin Hockey Hall of Fame in 1987, the United States Hockey Hall of Fame in 1991, and the Hockey Hall of Fame in 1992. The Wisconsin Badgers even named their home rink “Bob Johnson Rink” in honor of him. His famous catchphrase “It’s a Great Day for Hockey” is a great reflection of his passion and love for the game. Herb Brooks – Herb Brooks was an American ice hockey player and coach. He played for the University of Minnesota Gophers from 1955-1959 and was a member of the United States 1960 Olympic ice hockey team, however, he was the last cut and did not end up playing for the team that would go on to win the gold medal. Already a self-driven person, this decision by his coach only increased his desire to win the gold medal for his country. After retiring as a player, he became the coach of his alma mater, the Minnesota Golden Gophers. He led them to three NCAA championship titles in 1974, 1976, and 1979. Then, he finally got the call to the Olympics he’d been waiting for and became the head coach for the United States Olympic team in 1980. As he picked his team, he chose players he coached in Minnesota as well as players from their key rival Boston University, which really intensified practices. One of the toughest decisions Brooks ever made in his life would turn out to be the decision to make Ralph Cox the last cut before departing for Lake Placid. He knew exactly how Ralph would feel and it absolutely devastated him but nonetheless, the team would move on without him and become the youngest Olympic team ever assembled by the United States. Herb Brooks was known for his demanding and ruthless coaching style and his players even gave his wind sprint drills the nickname of “Herbies.” Brooks knew he had his work cut out for him against the Soviets so he developed a hybrid of American and Canadian style of play which optimized creativity and teamwork because he knew his squad was not as skilled as any of the other teams. The United States would go on to beat the Soviets in the medal round and eventually beat Finland to secure the gold medal. In the heat of the Cold War and with President Jimmy Carter soon to announce an American boycott of the 1980 summer games in Moscow, the bout between the Americans and Soviets was more than just a hockey game. Herb Brooks played an instrumental role in the “Miracle on Ice” and would go on to coach the New York Rangers, Minnesota North Stars, New Jersey Devils, and Pittsburgh Penguins after winning the gold medal. He was also inducted into the United States Hockey Hall of Fame in 1990, the International Hockey Hall of Fame in 1999, and the Hockey Hall of Fame in 2006. Gordie Howe – Gordie Howe, also known as “Mr. Hockey” played 26 NHL seasons during his career, mostly with the Red Wings and still holds the record for most seasons and games played by any NHL player. He once was a holder of many other records until “The Great One” Wayne Gretzky came along. Howe is considered to be the most complete NHL player to ever play the game and according to Wayne Gretzky, the greatest player ever to lace up the skates. He won the Art Ross Trophy 6 times, the Hart Trophy 6 times, the Stanley Cup 4 times and played in the NHL in four different decades from the 1940s through the 1970s. He even had the opportunity to lace up the skates with his sons which is one of the moments he treasures the most. The NHL would eventually coin the term “Gordie Howe Hatrick” in honor of Mr. Hockey. He ranks 2nd all-time in goals among NHL players. Howe was inducted into the Hockey Hall of Fame in 1972, The World Hockey Association Hall of Fame in 2010, and Canada’s Sports Hall of Fame in 1975. Mark Messier – Mark Messier coined a few different nicknames during his long 25 year NHL career. Most know him as “The Captain” as he demonstrated excellent leadership qualities and defined what a great leader should be leading by example, on and off the ice. He played seasons with the Oilers, Rangers, and Canucks and is considered by many as one of the greatest players of all time. He ranks second on the all-time list in playoff points and regular season games played and is third for regular season points. He is a six-time Stanley Cup champion winning five cups with the Oilers dynasty and one cup with the Rangers. He is the only player to captain two different teams to the Stanley Cup and has won the Hart Trophy twice and the Conn Smythe Trophy once. His playoff leadership in New York which ended a 54 year Stanley Cup drought in 1994 earned him the nickname “The Messiah.” He was also known over the course of his career as “The Moose” for his aggression and strength. Due to his exemplary leadership with both the Rangers and Oilers, the NHL named its leadership award after him and is given to a player that is considered to be a superior leader for their team, the league, and within the community. Messier and his family are deeply involved with the Tomorrow’s Children Fund and have helped raise over $1 million through various fundraising initiatives. In his first year of eligibility in 2007, Mark Messier was inducted into the Hockey Hall of Fame. 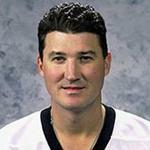 Mario Lemieux – Lemieux has played parts of 17 seasons in the NHL between 1984 and 2006 all with the Pittsburgh Penguins. He is known by many as “The Magnificent One.” He led the Penguins to two consecutive Stanley Cups in 1991 and 1992 but had a career filled with injuries and illnesses. He retired from the NHL on two separate occasions due to these ailments with the first time being in 1997 after battling lymphoma. He took on this adversity and battled through it though and would return in 2000 and then retiring for good in 2006. The second battle for him though would be when the Penguins were placed into bankruptcy and threatened to move the organization. Lemieux was so committed to keeping hockey in the city of Pittsburgh that he exchanged part of his salary for part ownership of the team and many consider him to be the savior of the franchise. After his lymphoma diagnosis, he created the Mario Lemieux Foundation to fund medical research projects. In 2004, he was inducted into Canada’s Walk of Fame and then the Hockey Hall of Fame in 1997 with the normal wait period being waived for him. Jim Salfi – Jim Salfi is the former founder, co-owner, general manager, and head coach of the Capital District Selects of the old EJHL. Salfi founded this organization with the primary purpose to help local children and give them the opportunity to play the great sport of hockey. He played a major role in the EJHL as his commitment and dedication to the game of hockey has helped to instruct and develop hundreds of youth hockey players who have went on to have college and professional careers. When the Capital District Selects were sold in 2012, they were relocated to Norwalk, Connecticut and became the Oilers. Jim was retained by the Oilers as a consultant at that time and helped to ensure a smooth transition. Jim always put the best interest of the league and its players before all else and his sense of humor always brightened up the league meetings. Jim has spent time as a coach at the collegiate level and has also been part of Hockey Night in Boston. Alex Ovechkin – Alex Ovechkin was selected first overall by the Capitals in the 2004 NHL Entry Draft. He comes from a family of athletes as his mother won two Olympic gold medals while competing for the Soviet women’s basketball team at the 1976 and 1980 Summer Olympics. The first sign of Alex Ovechkin’s future as a hockey player came when he was just two years old in a toy store when he picked up a toy hockey stick and refused to let go. As a child, whenever he saw a hockey game on television, he dropped all of his toys and ran to the TV not letting anyone in the house change the channel. During his rookie campaign with the Capitals, he won the Calder Memorial Trophy as rookie of the year putting up 106 points. Ovechkin has led the NHL in goal scoring, and won the Rocket Richard Trophy 6 times in his career. As of 2017, he may arguably be the best active NHL player to not yet win the Stanley Cup. Sidney Crosby – Sidney Crosby had an exceptional minor and junior hockey career and was one of the most highly regarded draft picks in hockey history, leading many to refer to the 2005 Draft Lottery as the “Sidney Crosby Sweepstakes.” He has coined the nicknames “Sid the Kid” and “The Next One” since joining the NHL. 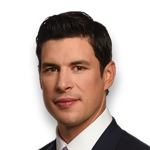 He was selected first overall on the 2005 draft by the Pittsburgh Penguins and had a brief tenure playing alongside Mario Lemieux who took Crosby under his wing and even let him live in his home as a rookie. He led the NHL with 120 points in just his second season capturing his first Art Ross Trophy becoming the youngest player to ever win a scoring title in any North American Sports League. He has already won 3 Stanley Cups and an Olympic gold medal and still has much hockey left to play. Connor McDavid – Connor McDavid was selected first overall by the Edmonton Oilers in the 2015 NHL Entry draft. In his second season in the league, he won the Art Ross Trophy as the league’s leading scorer, The Ted Lindsay Award as the league’s most outstanding player, and the Hart Memorial Trophy as the most valuable player to his team. Because of his high level of play as a junior player, he was granted Exceptional Player status by Hockey Canada and was allowed to be entered in the 2012 OHL Priority Selection at just 15 years old. He was named the captain of the Oilers in 2016 becoming the youngest captain in NHL history and in 2017, he signed one of the most lucrative contracts in NHL history becoming the franchise player for Edmonton. McDavid grew up a fan of the Toronto Maple Leafs but his favorite player is another first round draft pick, Sidney Crosby. Johnny Gaudreau – Gaudreau was drafted by the Calgary Flames in 2011. As a rookie, he was given the nickname of “Johnny Hockey.” As a member of Boston College, he won the Hobey Baker Award as the best player in the NCAA and was also selected to play in the 2015 All Star Game in his first full NHL season. He was a finalist for the Calder Memorial Trophy as the league’s best rookie. Carey Price – Carey Price is the current goaltender and face of the franchise for the Montreal Canadians. Before he started in the NHL though, he led the Hamilton Bulldogs of the AHL to the Calder Cup Championship. In 2015, he became the first goaltender in NHL history to win the Ted Lindsay, Jennings, Vezina, and Hart trophies all in the same season. Price is known for his calm demeanor on the ice that allows him to remain focused and he rarely appears rattled or upset when he’s in the crease. He is considered by management, coaches, and his teammates to be a great leader and is present during all meetings with the team captain and alternate captains. He has teamed up with CCM to donate $10,000 worth of equipment such as skates, sticks, helmets, and goalie equipment to a minor hockey league in Williams Lake, British Colombia. He also funds a breakfast program for students at his old school in Anaheim Lake, British Colombia. Carey is very proud of his heritage and encourages all athletes and non-athletes to be who they are and to be proud of their roots. All of these hockey figures have played a major role in the development of youth hockey athletes and have had a major impact on the game of hockey. The EJEPL is proud to name its conferences in honor of these great players, coaches, and league officials.